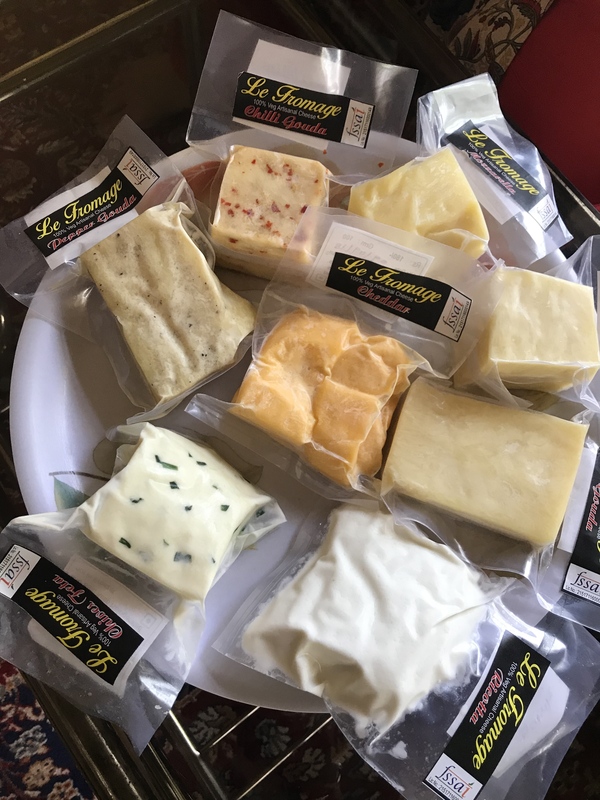 Nestled amongst the lush greenery in Nashik ( Maharastra, India)and located in the backwaters of the Gangapur dam is Le Fromage. 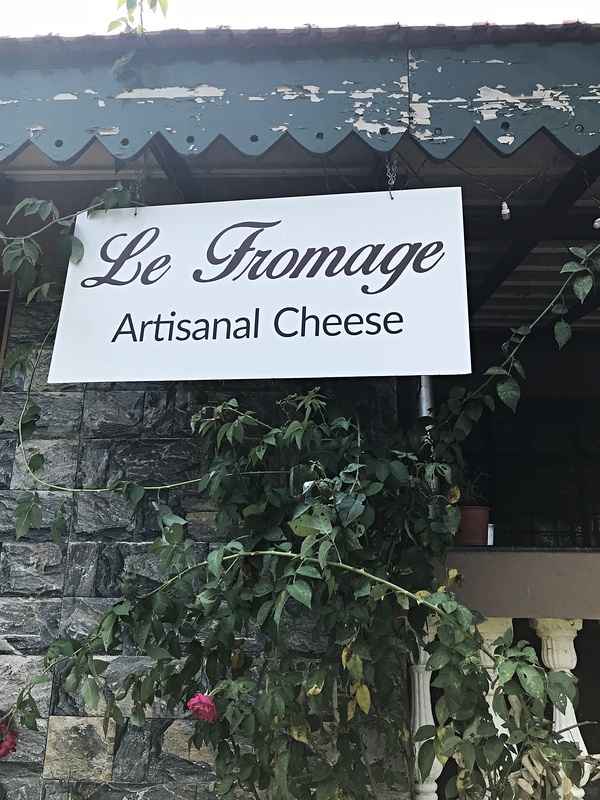 This is an artisanal cheese making facility owned and operated by a husband wife duo Mr Anil Pai & Mrs Alka Pai. 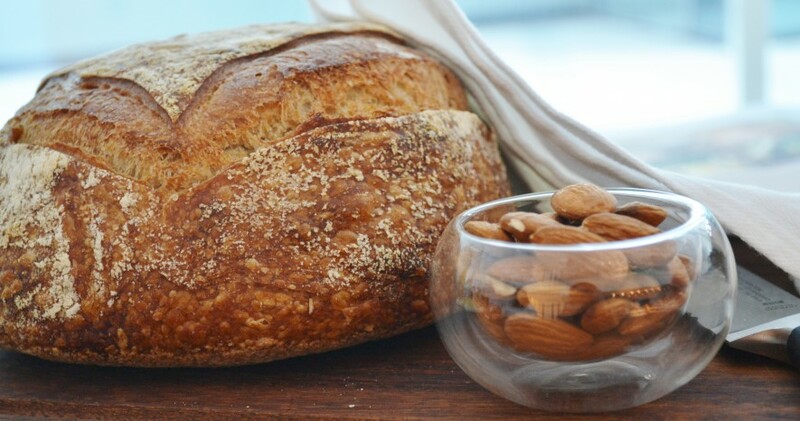 A recent trip to Sula & York wine regions took us down to a cheese making visit as well. Let’s say we were keen on pairing our Vino with something interesting to do in the vicinity and what better than some Cheese with wine. 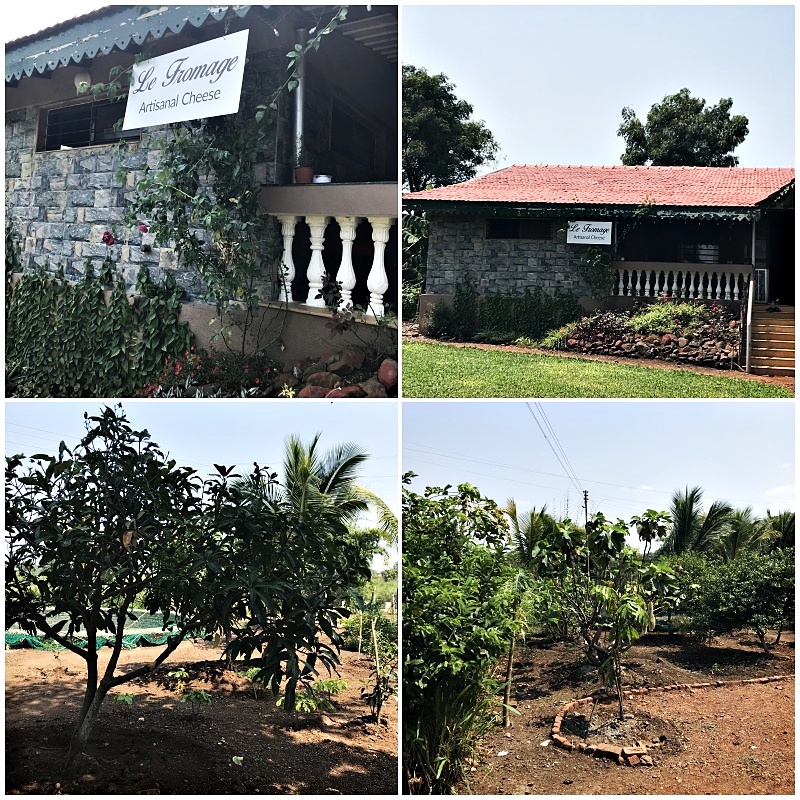 We arrive at Pai farms which is every bit picture risqué surrounded by Lemon trees , various fruit trees and buzzing bees. A warm welcome awaits us as we are greeted by the jovial owners and we settle down in the main waiting area, which looks like the living room of their home. 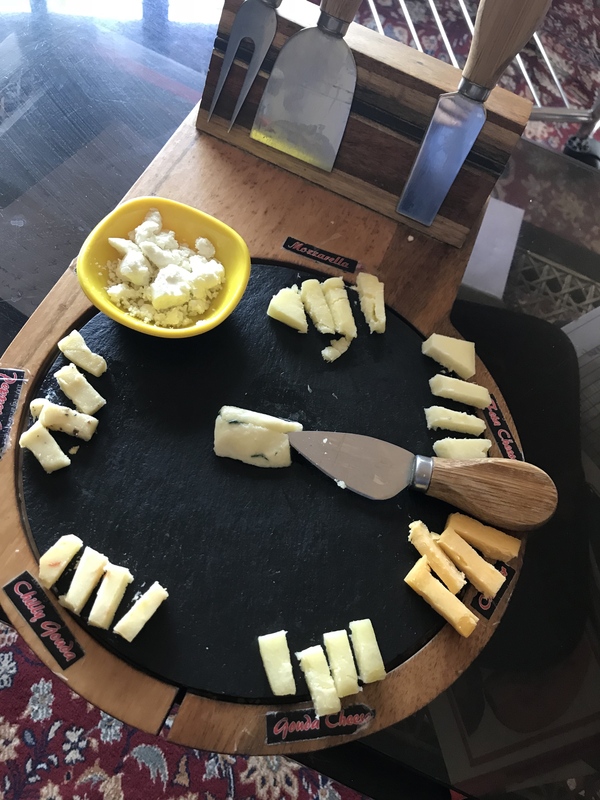 After a brief introduction we were offered a cheese platter with an assortment of fresh mozzarella, Pepper and Chilli Gouda, Chives Feta, Ricotta and some Chedder. They offer and interesting range and are all available for purchase in 100 grams packs ranging from appro Rs 180 to Rs 250. I quite like the fresh buffalo mozzarella and the Chives Feta and decided to buy some along with some Pepper and Chilli Gouda to bring back for the family. The mozzarella went into a lovely Caprese salad that I made up for lunch on returning to Mumbai. We then take a quick look at the cheese room which is a small unit with two large Vats that are used for pasteurizing the milk and then further the process of acidification and the addition of Rennet that helps the milk coagulate. Interestingly they only use vegetarian rennet that is available locally Vs it’s counter part that is made from Cows. Mr. Pai explains us how his sons who are U.S based encouraged them to start the cheese making business a couple of years ago. They seem very content with supplying the neighboring wineries like York & Soma as their regular clients for their wine pairing sessions. Oh well, happy with our Cheese purchases and the boot full of Vino, we bid adieu to this lovely couple and got on with our journey back to Mumbai. 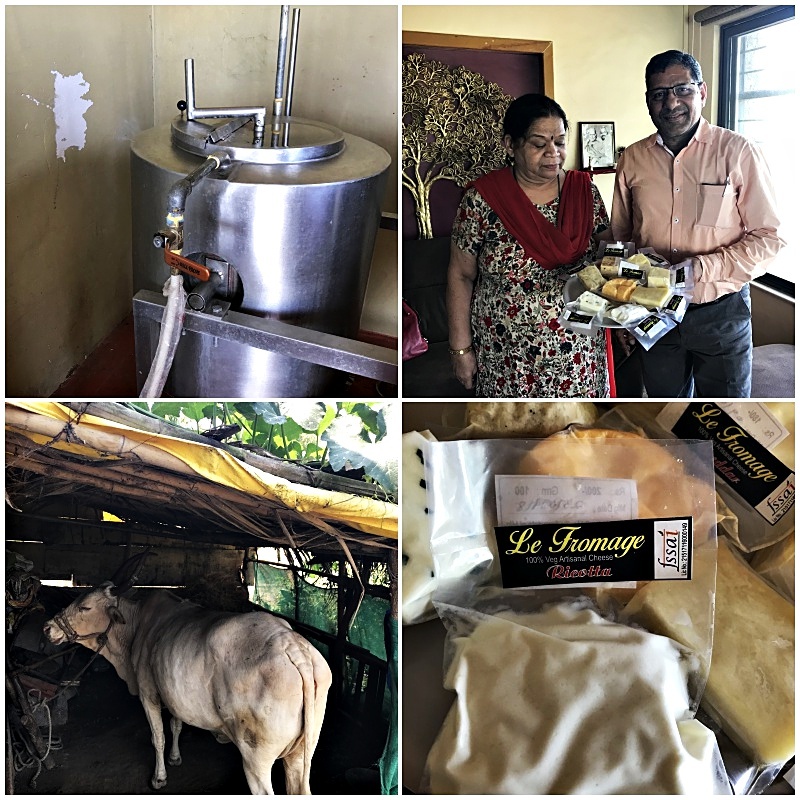 While Le Fromage seems like a small home based business, it is very heart warming to meet entrepreneurs such as them and see their passion that drives them forward…Kudos!